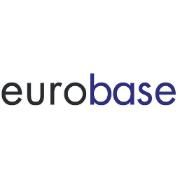 RCB Bank, the Cypriot bank, has selected Eurobase’s Siena as its treasury, trading and sales solution, including an online customer dealing platform. The bank says it identified Siena as delivering the most comprehensive solution and best fit to meet its requirements, which also includes regulatory reporting (MiFID). Deputy CEO of RCB, Zalevskii Arkadii, adds that the implementation of the Siena solution from Eurobase is part of RCB’s strategy to “develop its operating platform and improve further customer services”. RCB Bank was established in 1995, and is one of the largest banks in Cyprus. It is under the direct supervision of the European Central Bank through the SSM mechanism.